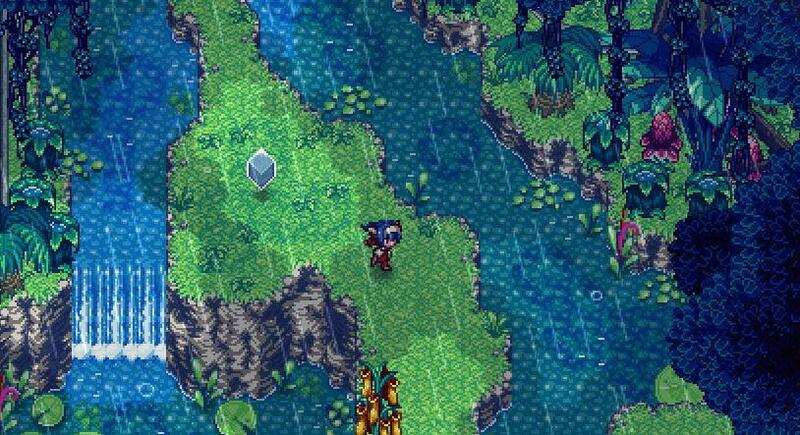 Surviving in Cross Code can be difficult especially since it throws alot of stat/combat option customization at you. 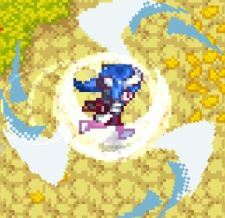 For this, I love Cross Code for its in depth details it offers unlike most games. I want to make a organized record of it for self refrence. Where is the Origin Stones? You are a jack of all trades. And a master of none (Yet~ Hopefully). Take This To Heart reguardless of your gaming experiance. Cross Code will simpily not work on you just spaming offense. You have to master the 4 base actions you have, Reguardless of your build. It may be somewhat forgiving at the start but this quickly changes overtime. Imo Melee is the best way to go build wise and for damage. Youll also be forced into melee situations quite often. Most higher level Melee arts also offer great offensive dodges. Note the 3rd and 4th strike deal the most damage. So you shouldent spam dash cancel unless to advoid. Note: The 4th swing is indeed a 360 Arc. Offers no base stun (but still has some knockback). Slow moving distance when move firing compared to slashing overtime. 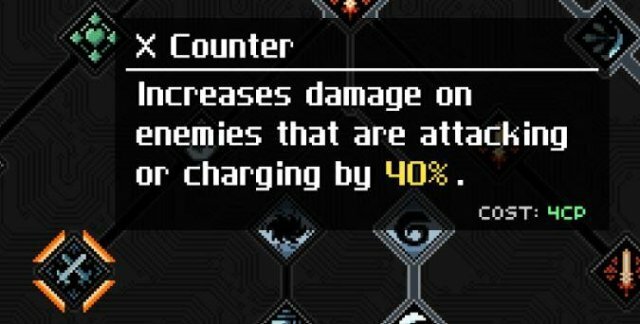 Charge shots are optimal to reduce Form Heating instead of its DPS small shots. Dash arts.... Are okay, Still overall i think its inferoir to melee and shooting and adds nothing of value in terms of damage and the probabilty of landing it in deep combat. its best left abandoned for extra stats. I do understand the superior Aoe and First strike and ultility it offers however but still those can be left behind. Target stuned for about a full 3 seconds. 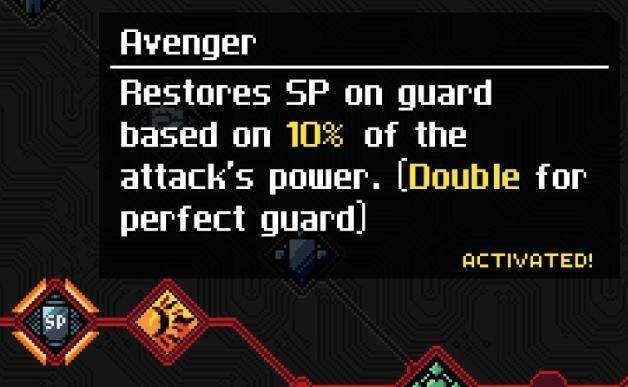 Adds Extra SP to your bar (If in heat form Avenger passive). Which all 3 are amazing to have right from the near start and throughout the entire game as a tool. Obviously though, Perfect guard takes practice to master. However very worth it. It does have a minor downside though. You can only perfect guard direct attacks. As for sheild arts most of them offer nice Invincbilty frames (Sort of) and counter measures. And finally, Half of the enemies in the game speed rates will outdo yours in situations that not even dodge might help and even if it did, Perfect guarding is very more ideal if able. As you probably guessed are for more damage, However they are also used for costly offensive tacticle dodging if you really need it with tier 2-3 skills. And potentail bypass phase'ers when apilled right. There are some terminologys in Cross Code you should know. Most enemys hit by a 2-3 Tier skill will be pin'ed downed, Meaning they will be forced to lockdown before moving onto there next phases if you deal a signifgant amount of damage during this. Good timing can net you a great advantage in passing phases you dont like on a boss. Generally you and your target are in the air by most likely by a melee 2-3 art, You may not have invincibilty at this point but very likely anything below will not have any tracking attacks that will elavate to your current height. A Pin up imo is slightly better a Pin down because they do not lose lockdown untill they land. Tend to be VERY short in Cross Code, Barley even a second in most cases. You can even be cross counterd out so try not to challenge or wager skill vs skill in general because you will most likely lose out horribly. Aside from Guard Arts. Lea has 4 forms (5 if you include base, Which i do consider it to be one). Base Lea skill tree stats WILL transfer/combine to any of the 4 forms, However a form passive stats WONT combine with other forms. Only your base and current form will have the totall sum stats. So Base Lea stats distrubtion is very important. You should really, really take note that your going to get a -50% res on a logical weakness on a form, Your going to take a full 1.5X dmg if your not carefull. I think the most common mistake done in a form is to throw DPS balls constantly. You can when you need to or when going for a Break Point on a target -but otherwise it adds so much heat points youll be kicked out really fast Compared to meleeing. Idealy i think its best to melee+charge shots to maximize time in a form in terms of offense. Its really up to you on how you want to go about it. Whenever you want them to be stand alone or combinable into other forms either way will be fine. Idealy, Over 60% when you complete your current combo stream. Charge shots do not add heat points (Oddly). Base Form: Base Lea eventually becomes inferior because it has no ultimate lvl 3's, Still its your only form of defense if you overheat so its okay to have skill arts from here. Lea's base form has alot of nice key unique stats though, Such as X Counter, Bullseye, Pin Body, HP regen and etc. Lea's Base Form also is one of the best ways to build SP with DPS shots. Best Arts: Would prob be the guard art Blade Sphere/Guard Sphere ironicly, Since its the only self buff and an effective one. And can be transferd into any form and without damage penalty potential from just staying base. What it actually does though is it ignores hit stun and gives damage reduction and gives you spinning blades all for about 8 seconds. You can attack all in with melee with no consequence. The only downside is however, Its not a great starting skill excatly, Overtime it will grow more helpfull though. Guard Sphere: Without its blades in itself is even usefull. If you know you messed up your positioning badly on a boss and your sure your going to get hit hard, You have the option of using Guard Sphere as a saver at a mere cost of 1 SP. You can even quickly eat an item instantly after casting it safetly. If you use this for offense on average you can get away with 8X melee strikes before backing off safetly as well. Note: That heat Forms Avenger passive also works with Guard Sphere, So if you immediately switch to Heat Form after casting you will absorb SP per hit on yourself. This is one of the best ways to stall for time if you constantly cycle this for whatever reason you need to. Alternatively when switched to ICE form and you have alot of pin body passive stack you can reflect alot of pain, If you cant reach an enemy with neither shooting or melee or the attack pressure is to high this is a nice way to keep your offensive going. Heat Form: Overall as you guessed this is an offensive form. It offers not much ultility other then "more dmg" for the most part. The problem with Heat mode is its leave flaming AoE's or mines on the ground, Its just not that practical. Passives are also not practical with beserker in giving you more damage near death or +1 passive surviving a last hit. Heat mode may not be a bad last stance to be on but why plan on it? Avenger passive however is very nice. 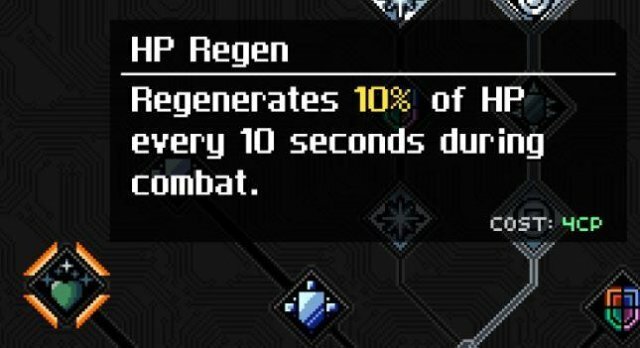 And Its burn stats offers not bad degeneration. Best Arts: So far, Id say the Lazor ones because it confers alot of safe height. As for the rest of the arts i personally perfer everything and anything that inflicts burn stats. With exception of the melee art on Tier 2 because both the animation and pindown is faster then its counter part and even may be used to pull in distant targets into the correct positioning of the skill. 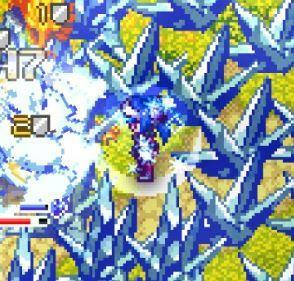 Ice Form: Clearly a defensive mode and a superior one at that. Not only does it raise your defense in general you can make your own Ice walls and prisons, That not only block missles but also damages enemys that walk on it offering alot of anti swarming options. Because of this its one of the best times to use items if you need it since they have a long use time. Ice form also has a unique 360 degree block all passive including the ability to stack alot of pin body percent damage. Chill stats isnt bad either it reduces All speed. Best Arts: Generaly anything that creates Ice walls. When you switch forms the ice walls DO NOT fade instantly only untill its time expires, Making them more of value. You can make as many ice walls you like as long as its a Throw art however for some odd reason the Guard art ice walls have a limit source of 1, (I...guess to prevent straight out fortressing) And even more nonsense when you use a Throw wall+Guard wall the Throw wall will be destoryed, On the reverse when you Guard wall+Throw wall both will remain. LOGIC! To be a True Spheromancer, We must be know our forms inside and out and how we built them. Ready to switch on the fly without pause, Having set rules for each one for knowing when and what to be, And mix attacks flawlessly. This is not a requirement of the game and for sure you can just main 1 form, But for the few people who seek Fun, Combo wizardry, Or i guess are try hards. We'll probably seek continuous improvement. I dont know if ill reach the state myself though if i do ill share what i know, Providing i dont think its redundant. For now, This is just a place holder. Basicly, Switch forms during a skill immeditly after starting one pressing any Form key when you let go after casting/charging a skill. (Or after when you let go spacebar by default) In doing so youll flawlessly move into another form while attacking from the start of your skill at the same time and may perform another skill afterwards linking them in quick succession. An example of an simple Advance switch combo would be. Changing to a form using an advance switch to a form with more attack stats more then your current like Heat when using a skill will optimize damage in nearly all cases. Simpily because your higher attack stat would be added over instantly. This is just a section explaining some imo important unique stats in detail, This is not important to look at it and you can skip it if you want. ill prob only go over Base Lea and maybe a few others. Note you can reset your skill points at the INFO shop at the docks though currently its an akward process as in its requirements to do so. Sadly restarting might be for the best for a few select people if they really messed up. 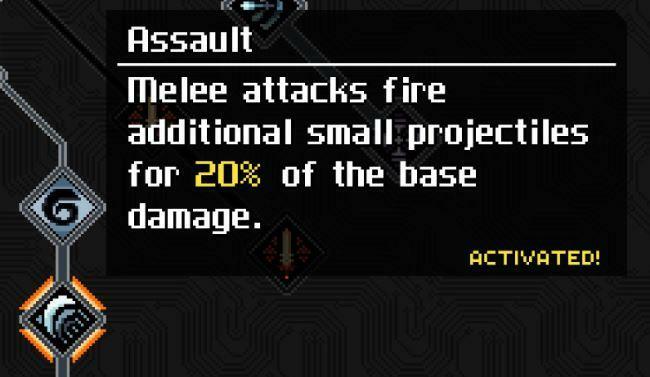 Assault Is probably the most important unique stats to melee and base imo, Since it adds 20% (From your actuall base attack stat I believe). What the skill description dosent tell you is on the 4th swing 2 of these fire out. Adding a possible frontal 40%. It can crit, Though the damage also can be reduced independently by enemys def/block. X Counter Idealy your suppose to stop and dodge when an enemy is charging or attacking. However i still think its usefull when you get your few hits in. As a bonus Ice Form's Chill lowers attack animations and benefits more from this. And due to the agressive nature of enemys. Alot of oppurtunitys to tick it in. 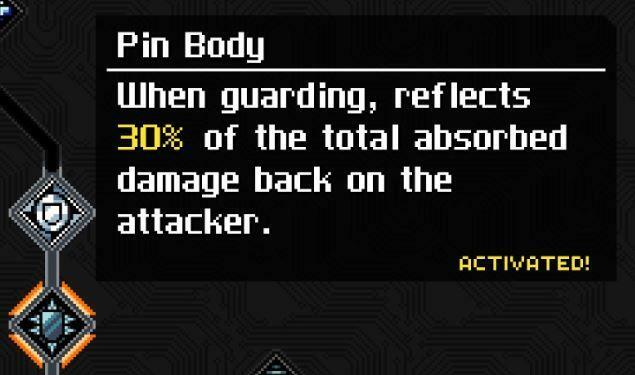 Pin Body An Oxymoron that the more def you have the less damage you reflect back, Still though the 30% dmg you reflect back can be enchanced, Such as landing a crit and damage modiftyer benefits. Its also 100% accurate and never misses. Interestingly enough this also ticks when you get hit during Guard Sphere art. Unforchantly it does not add SP. HP Regen You probably want it, Just so you regen in every Form. JUST SAYING! unless your a evasion or low damage intake god~ Admitingly it might lose value in late game due to Wave Form. Avenger A Great passive to have that absorbs SP, It works with Guard Sphere as well allowing you to absorb every hit when you switch to the form quickly after casting from Base Lea. A list of stuff that you arent suppose to be able to do but can. So far all i know is jump tricks. Long Jump - You can perform a slightly longer jump if you jump while still holding the direction- Perform a base action (Other then dash), And then dash cancel immeditly. Causing you to go further then intended, With this you can get to places you arent suppose to. Corner Jump - Knowing the long jump you can get to certain corners as well with it by simpily moving in the direction of cancel dash. 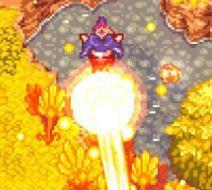 Lazor Jump - This is a compilcated process of getting hit intentaily by a enemy bird in later areas that charges up to attack you, When a bird stoics you charge a lazor from heat form, While your in the air you get hit by the bird and because lazor involves you going to max height you get hit before the Iframes, Letting the hit knock you back onto whatever's behind you landing above.